On Sale Now! 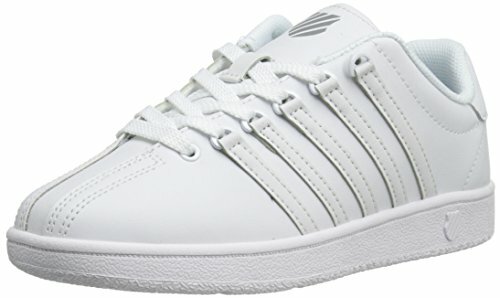 Save 4% on the K-Swiss CLASSIC VN White/White,4 M US Big Kid by K-Swiss at Mas Fashion. MPN: 83343-101-4 M US Big Kid. Hurry! Limited time offer. Offer valid only while supplies last. Classic, timeless style; the iconic, classic VN, features K-Swiss' signature five-stripe branding, three-piece toe, d-rings, and lace up closure. Classic, timeless style; the iconic, classic VN, features K-Swiss' signature five-stripe branding, three-piece toe, d-rings, and lace up closure. This court-inspired pair can easily be worn with any ensemble. If you have any questions about this product by K-Swiss, contact us by completing and submitting the form below. If you are looking for a specif part number, please include it with your message.